MONTREAL – Cantrex Nationwide (CNW) has entered into a new vendor partnership with Sonos, the California-based creator and manufacturer of smart speaker and home theatre sound systems. In a statement, the company said the new partnership means independent retail members who are already authorised Sonos resellers can leverage CNW central billing service for all future product purchases. 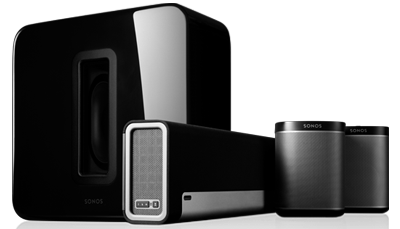 It also gives their members greater financial flexibility when ordering and paying for Sonos’ broad range of home audio products. CNW senior management said those advantages include: flexible financing options to match business needs and improve cash flow; uniformity to financial payment terms as Cantrex terms can be applied to Sonos; much higher credit limits than what is currently offered through Sonos; and, simplified vendor management by using one Cantrex account to streamline administrative processes to reallocate resources where they are needed. Existing CNW members can immediately contact their Sonos representative to apply to become a Sonos authorized reseller and Sonos authorized resellers are invited to contact a CNW representative to explore their opportunities in joining the group.